Are YOU Smashing? The Pickle can help! Happy Thursday! 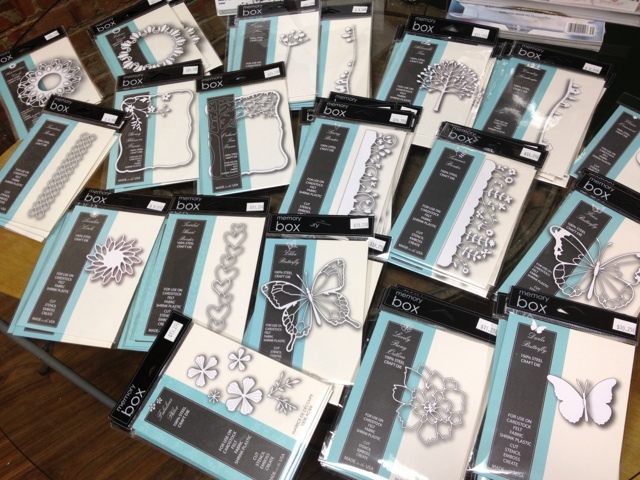 NEW Memory Box Dies are here! 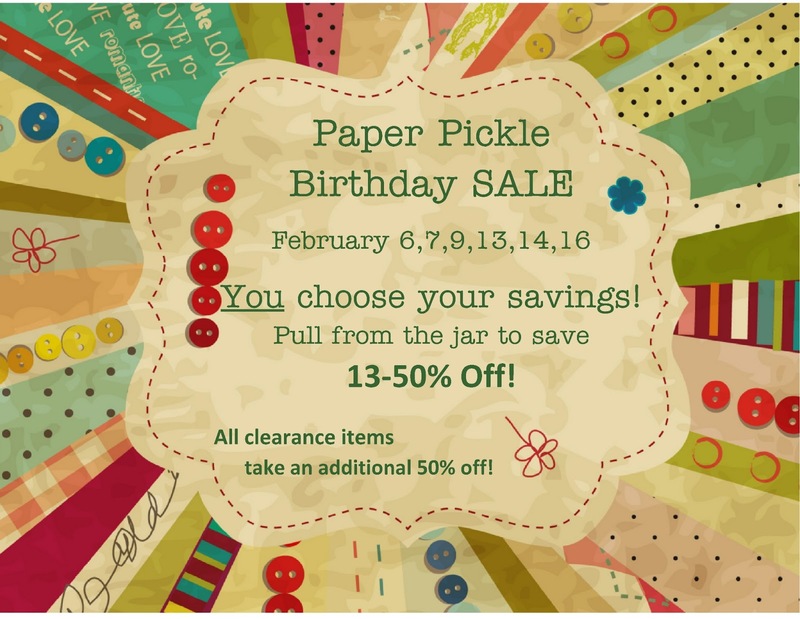 9th Birthday Bash SALE Continues! I opened up 4/5 new Smash Books we have in the store right now. 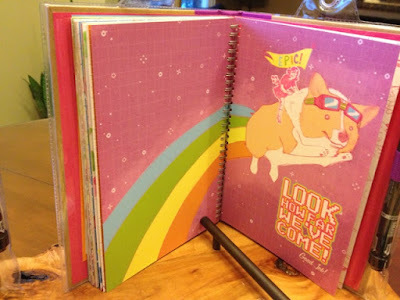 Each page tells you what I think of this product! So you all know how I am obsessed with Smash Books, right? They are products that were made for me...the busy mom. Funny, but then I talk to Kelsey, remember the cute girl that worked at the store years ago, well she is second year university and she believes Smash Books were made for her. Then I talk to my six year old daughter and she believes Smash Books were made for her. See where I am going with this? How can ONE product appeal to SO many different people? How can they make us ALL so giddy and happy? I think the appeal is great price point ($14.99 at The Pickle Not $21.99 like Michaels). I also think they are just SO easy; you can pick them up and add things in any order...even if you only have 5 minutes, you can get a lot accomplished. You can use them for anything like a special trip, a special person or even just a 'catch-all' for all those special moments in your life. Not sure what a Smash Book is? Check out this video. You will instantly see that Smash Books are for you! Sorry for the awful photo, but here are the new albums! Have a look inside and get a taste for what we are dealing with here....just epic! 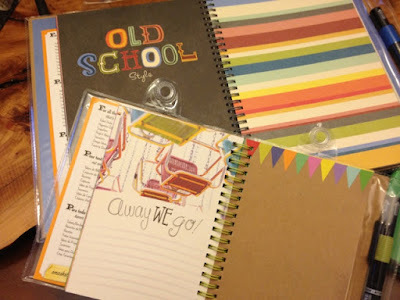 This 'Nostalgia' Smash Book may have been made just for me! Love the vintage vibe. Epic! This is two of the pages in the NEW Cutesy Book. Julia has her sights set on this one! 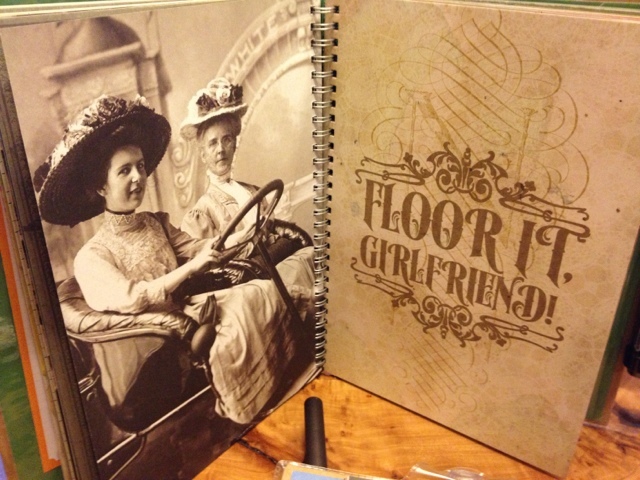 This is a photo of pages in the 'Smart' themed album and from the new 'Mini' album. One last thing before I rush off to get ready for work....today is the last day of our BOGO sale! If you are just tuning in, ALL Spellbinders and Sizzix dies are Buy 1, Get 1 50% off! 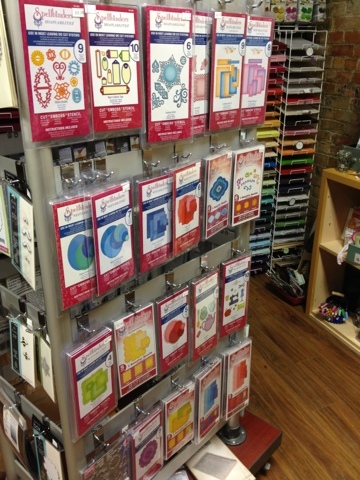 And all Embossing Folders are Buy 1, Get 1 50% Off! Open from 9:30am-3pm today (Saturday)! Come on in an swoon over Smash Books with me or take advantage of these great deals!! Oh wow! A huge shipment of Memory Box has arrived at The Paper Pickle. Have a look at my photo to see if your favourite image is in stock. Also, our expansion week sale continues. 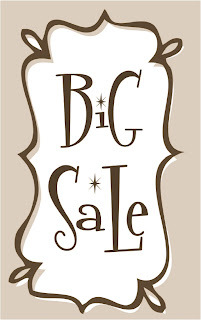 All Spellbinder and Sizzix dies are Buy 1, Get 1 50% off. All Embossing Folders are Buy 1, Get 1 50% off!! Don't think this is all the new product coming in. This is just the beginning! 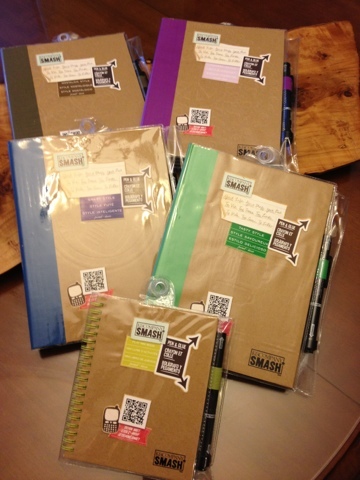 Many of your requested 6x6 papers, new Smash Books and more will be here Saturday!! Oh I love this time of the year!! SO why the urge for a late night post? Well, I am in one of the best moods ever because our landlords approved our expansion! Yes, the new store will double in size within the next month. I am thrilled! Renovations have already begun. So why not keep the celebrations going with a special (which starts tomorrow at 10am!). ALL Spellbinders (dies and embossing folders) and Sizzix Textured Impressions Embossing Folders are BUY 1, GET 1 50% OFF. So that is basically all of our dies (excluding Memory Box...sorry!) 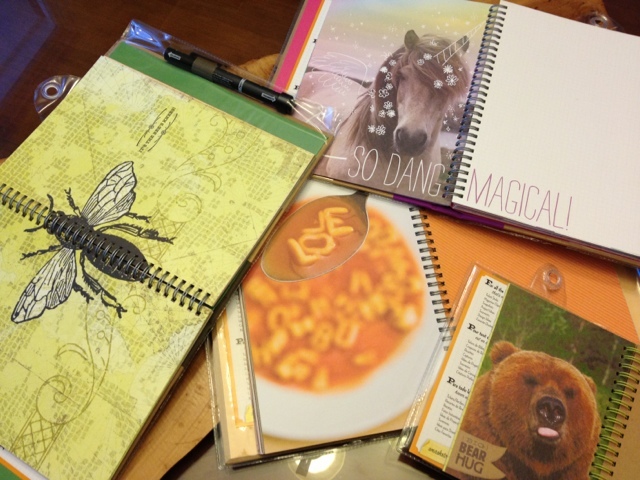 and ALL embossing folders ON SALE! We have a great selection in store now! Three more days to save during our 9th Birthday Bash! Stop in Wednesday, Thursday and Saturday and save on beautiful paper craft products! Remember, YOU choose your discount with 13-50% OFF! It all depends on how lucky you are! And let me tell you, last week, we had some very lucky people! Don't worry though, there are still lots of great savings to be drawn! Did you hear new Memory Box dies came in last week? Did you hear there was unbelievable cake in the store my by very talented sister, Jen? No? Well this is just a little reminder for you to 'LIKE' our page on Facebook. All of this information appeared last week on our page. I apologize to you loyal blog readers, but sometimes I only have a few minutes to get the breaking Paper Pickle news up and Facebook is THE quickest way to do just that! Don't miss out again. Just CLICK HERE for the link to our page and click 'like'! 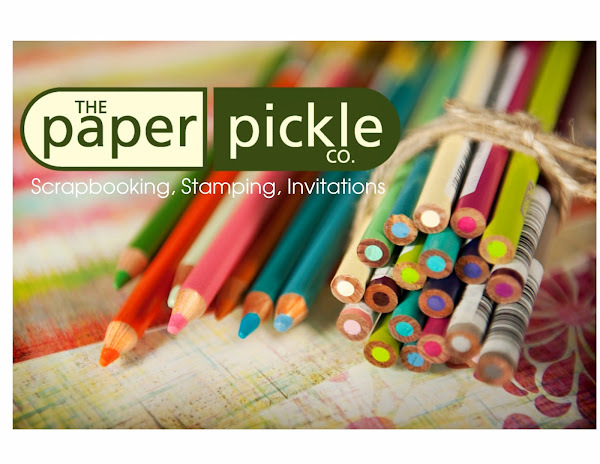 So listen to this.....The Paper Pickle is now in our 10th year! It is really our 9th birthday but I think it sounds more impressive to say we are in our 10th year! Ha. Oh how time flies when you are making friends, doing what you love, creating memories and having fun! I have some VERY BIG PLANS for this year too! I will fill you in on all the details once I have the approval for the changes. I hate to be so vague but I better make sure the expansion can happen before I spill the beans....oops! I think this is cause for celebration! How about a little sale? 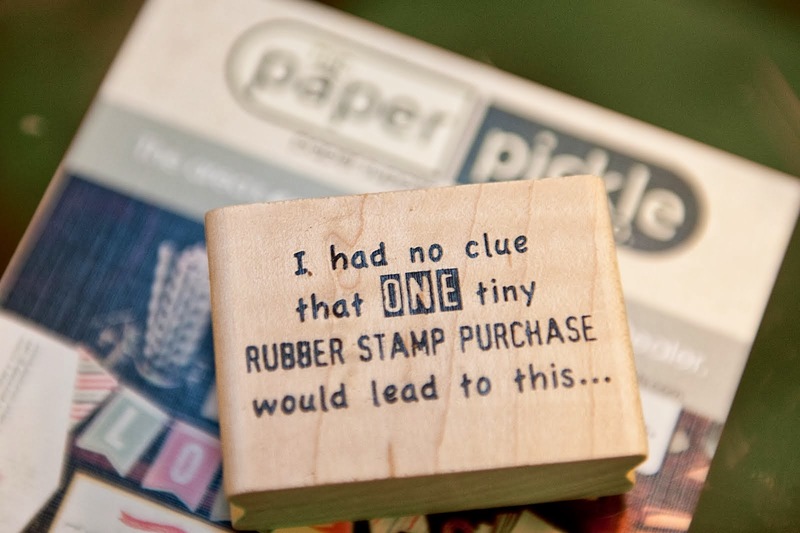 Also, ALL rubber stamps are 75% OFF! Come join me on February 6, 7, 9, 13, 14, 16 for a little birthday FUN! I will be in the store each of these days SO come in and say happy birthday and enjoy running off with a few bargains!